The BBC is one of the world's most respected broadcasters yet some copyright holders think that it's a pirate powerhouse. In a wave of notices sent to Google in recent weeks the BBC has been accused of infringement more than 130 times, with one outfit attempting to have both BBC1 and BBC News removed from the search giant's indexes. The controversy over the prevalence of copyrighted material appearing online without rightsholder permission has ramped up to new levels this year, with a somewhat predictable twist. Apparently in no position to tackle the hundreds of ‘pirate’ sites online today, organizations including the MPAA and RIAA have turned almost entirely on Google, complaining that the search giant does little to stop infringing content appearing in its results. With the recent Copyright Office DMCA efficacy consultation ringing in everyone’s ears, fresh attacks on Google are conveyed on an almost daily via friendly blogs run by industry supporters. Meanwhile, Google continues to silently process millions of takedown requests every week, precisely none of which relate to infringements carried out by the company. But as the public criticism of Google mounts, what is less well reported is how impressively the company continues to deal with the abuses of the DMCA carried out by hundreds if not thousands of copyright holders and their hopeless automated bots. Case in point, recent attacks on the BBC. As one of the world’s most famous and responsible broadcasters the BBC takes copyright infringement and indeed all aspects of the law extremely seriously. However, according to a whole bunch of copyright holders the company’s website is a hive of infringement. 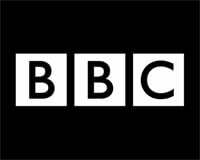 As illustrated in the image below, the BBC has recently been subjected to a wave of copyright infringement allegations from several copyright holders, none of which appear to have any merit. One of the worst blunders comes from Indian anti-piracy outfit Markscan who on their homepage refer to themselves as a “knowledge partner” of the MPAA. In a notice sent to Google aiming to protect the rightsholders behind the 2016 Paris ePrix (electric Formula E racing) Markscan demanded the takedown of several hundred links supposedly showing the event live without a license. Unfortunately the company’s bots fingered the wrong suspect, first trying to take down the BBC iPlayer version of BBC News and later the BBC’s flagship entertainment channel, BBC1. We didn’t examine in detail all 574 links sent by Markscan but the Yahoo one shown above is also bogus. Furthermore, most of the links appear to reference live streams of the Paris race which took place on April 23, 2016. The notice wasn’t sent until the day after, long after the race had finished. Overall, Google rejected 97% of the Markscan claims. But the fun doesn’t end there. Waves of notices sent by anti-piracy outfit Topple Track targeted the BBC late March, each informing Google that the broadcaster is infringing on the rights of recording labels. One demanded the takedown of 38 BBC pages, another 40 pages, and sundry others in between. What all of these takedowns have in common is that they’re all bogus, they’re all abuses of the DMCA, and every single one was somehow spotted by Google and rejected. As outlined earlier, copyright holders are often extremely critical of Google but it appears that far from accepting every notice coming in, Google is actually taking the time to do the right thing and is regularly saving copyright holders from each other. Some argue that the relatively small percentage of incorrect notices sent is hardly worth mentioning in the overall scheme of things, but when they are your URLs being removed from search, things take on a different light. Thanks to Google’s vigilance BBC iPlayer remains in its indexes, no doubt the Corporation will be grateful for that.